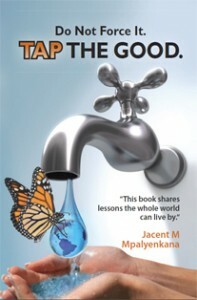 Jacent Mpalyenkana is the author of: Do not Force it, TAP THE GOOD. 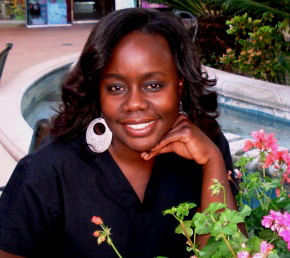 Jacent is an African woman, currently residing in Southern California. She is an expert in Commerce, Corporate Strategy, Marketing, Supply Management, Conflict Resolution, Personal development and Decision Sciences. She has diverse experience in Marketing, Public service (having worked with the United Nations for over 7 years) and a passion for philosophy and spirituality. She is also a successful Therapist with a profound desire to use her mind and hands to heal others. Do not Force it, TAP THE GOOD is a contemporary inspirational book that embraces mystery, humor, philosophy and metaphysics to inspire. This book comes at a time when many in the world are experiencing personal, emotional and economic challenges. Jacent introduces readers to a “road map” to help us find and recognize the abundant and inexhaustible amount of good that is within our reach, regardless of our perceived challenges.